Global bank Credit Suisse downgraded Nokia from "neutral" to "underperform" on Monday, underscoring the Finnish phone maker's recent difficulty making a mark in an industry currently dominated by the likes of Apple and Samsung. 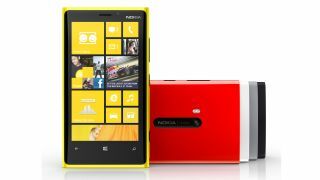 Despite Microsoft's backing with the Windows Phone platform, Nokia's devices have yet to have the impact of Android and iOS phones. And though Nokia's current view is that "things are about to change," that change may not be for the better, according to Credit Suisse. The bank has suggested that, in the long run, it might be best for Nokia if the company were divided up and sold to various buyers. How much for that Nokia in the window? Credit Suisse suggested as part of its forecast that Apple in particular may be interested in snatching up Nokia's considerable portfolio of patents and other intellectual property. The bank also noted that Ericsson, Huawai, and ZTE may well have interests in Nokia Siemens Networks and other parts of the company. Adding insult to injury, Credit Suisse pointed out the slim likelihood that any company would want to buy Nokia whole, explaining that breaking the company up and selling its various divisions separately may be the right long-term choice. On the other hand, research and analysis firm Recon Analytics' analyst Roger Entner told TechRadar in an email on Tuesday that breaking up and selling Nokia would actually be "the worst case scenario" for the company, adding that he considers it "quite unlikely," though "not unprecedented." Entner suggested that buyers snatching up disparate pieces of Nokia's business likely wouldn't come out on top anyway. What about maps and Windows Phone 8? Of course, Nokia's been stirring plenty of other pots, not least among them its considerable maps data, which the phone maker has openly claimed is superior to Apple's much-maligned Maps apps. And the Finnish company just revealed two new Windows Phone 8 handsets, the Lumia 920 and Lumia 820, in September. Combined, the new Windows Phone 8 devices could help alter Nokia's fortunes. On the other hand, HTC's latest device announcement, the Windows Phone 8X, is being touted as the new flagship Windows Phone 8 smartphone, indicating that even Microsoft may be losing faith in Nokia. But Entner reminded TechRadar that phones don't sell solely on being a "flagship" device. "Look how much 'flagship device' did for the Nokia 800 in the US," he wrote. He added that Microsoft is unlikely to let Nokia be broken up and sold, as Nokia's failure would be "devastating" to Microsoft's business.